Dead legs from yesterday but I trudged along for the first half before downing some gel. Tried to keep off it for as long as possible to avoid a late crash and succeeded. From there felt relatively springy and made good time. No significant mistakes left my run in pretty good shape, and my house of cards didn't come crashing down on me this time around. 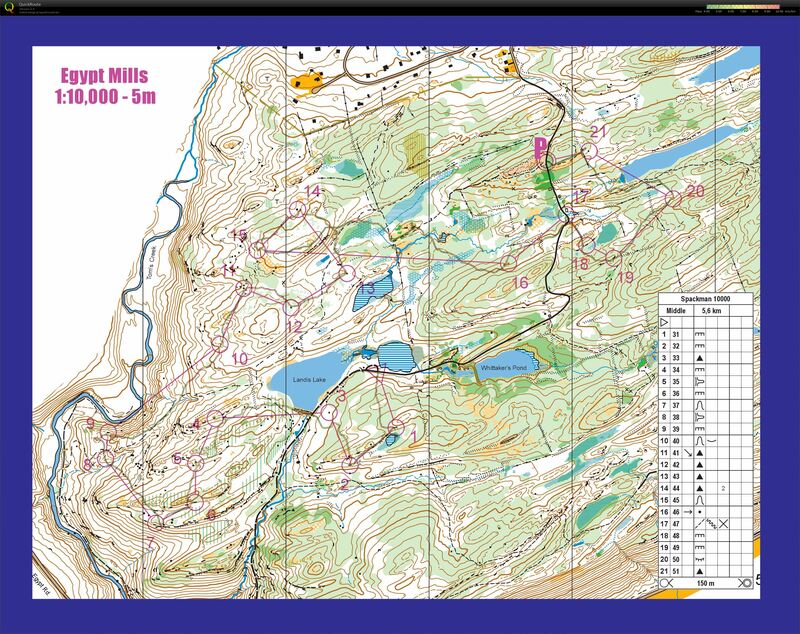 Good effort and time to move into training towards JWOC. A good race on most counts except for a gaping mistake in the middle. Disappointed but otherwise ran alright. An enjoyable relay but frankly took it too hard for a race that doesn't matter and bonked a bit. Sprint at GMU - Went pretty well I think, the course setting was tricky but I avoided mistakes, some hesitation here and there and a subpar route choice but I think I can pretty pleased with the first race. About 15 minutes of model map and filling time with running afterwards. Getting back in gear in the States at Egypt Mill with Greg. Some classic no-streamer business, but the features weren't too difficult to pick out. Everything's feeling good. Track suggests some tomfoolery going on and I already knew I'd made a bad decision to 16, but otherwise good.